Kids These Days: Technology in YA | Why, A Blog! 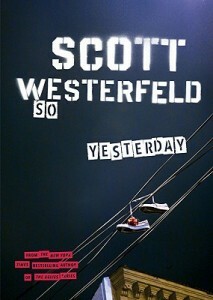 This summer I listened to the audiobook of So Yesterday by Scott Westerfeld. I really enjoyed it, but was also surprised by how dated it has already become since its publication in 2005. The datedness is accelerated because of the book’s concept, about a teenager who works for different marketing companies as a “cool-hunter.” And, unfortunately, what was cool in 2005 is different from what was cool in 2011. Don’t believe me? 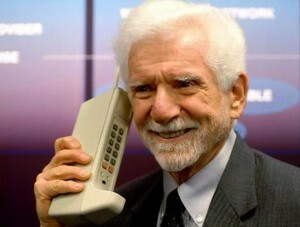 When was the last time you heard anybody bragging about a cell phone with a camera? For me, it was when I read So Yesterday. And before that, it was when I lived in a developing country. And before that, well, it was probably 2005. I think the book’s anti-establishment concept is still cool enough to endure, despite some slightly dated references. (I think it probably would have been mindblowing when it came out.) But, unfortunately, I do think that contemporary fiction has a bit of a shelf life. This is something we talked about in my children’s literature class–how classics like the Ramona books just aren’t as appealing to kids anymore. I’ll buy it. As a kid I remember reading it and being like “Their teacher does what? Why are they acting like a dollar is a lot of money? They’re eating what for dinner?” It wasn’t enough to keep me from enjoying the books, but it did give me several pauses. By contrast, when I read books like the Animorphs series, I remember thinking how cool it was that these kids had AOL and went to a mall that was recognizably like my own mall. I feel you, kids who transform into animals to fight aliens. I feel you. And certainly, contemporary fiction can endure even as it grows dated. Look at Little Women. I loved that book as a kid, even though it was written for an audience of children who grew up during the Civil War. I did not understand a lot of it, but I understood enough to be able to fall in love with the Marches. But other books, books whose characters and plot aren’t quite enough to keep them in print forever, those books will fall to the wayside like a Nokia flip phone. And that’s okay. Not every book is or should be Little Women. Sometimes teens (and kids and adults and every age of reader) just want to read something fun and timely, something that feels just like their school with its stupid no-texting rules and its totally low-bandwidth Wi-Fi connection. Something that will feel totally foreign to their children, who will all have routers installed directly into their brainstems and will have no need for external internet connections or text messaging.